In this chapter, we present the basic principles of dental scan. When you master the basics, you are ready to achieve the best results. For beginners, we recommend watching a video from start to finish first. When you repeat the video you should follow the steps in the software. 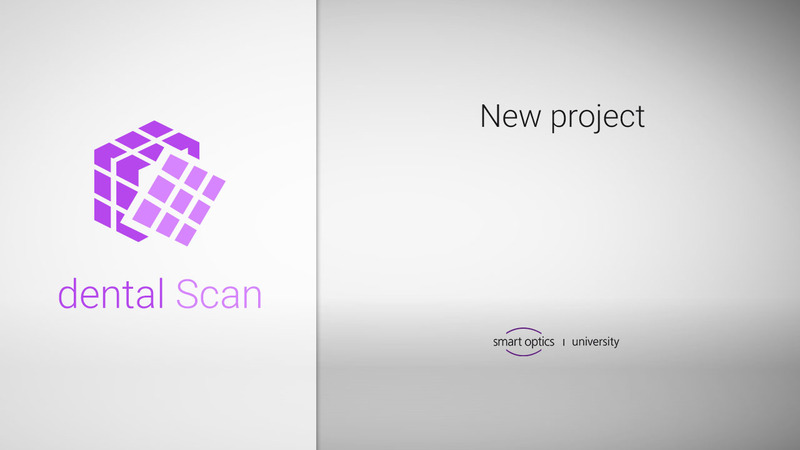 In this video you will learn how to create a new project in dental Scan. You will learn how to enter patient and dentist information, define the intended preparations and get an overview what settings are required for the scans. In this video, you will learn about the different views in dental Scan. In the second part the surface presentations are shown. If you have already seen the “Views” video, you already know the six views. Of course, you can also move scanned objects freely in 3D space. 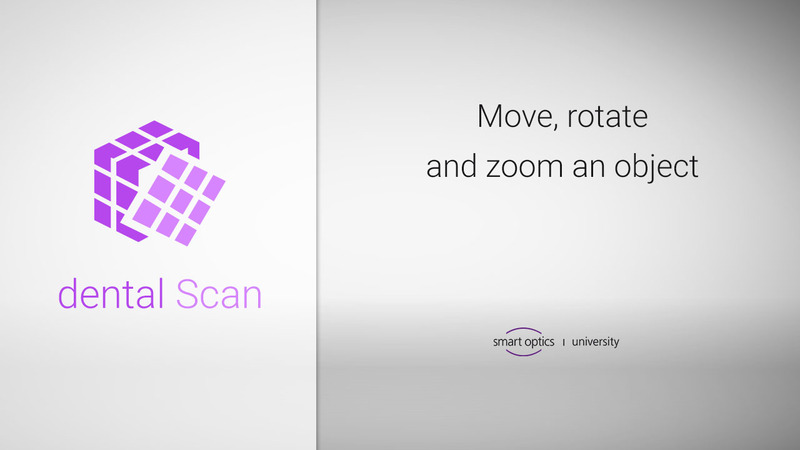 In the three parts of this video, you learn to move, rotate, and zoom objects. dental Scan has three precise and easy-to-use cutting tools that allow you to reduce each scan to the required data. Each of the three parts of the video explains one cutting tool. The calibration ensures that the dental scanners from smart optics reach precise measuring results. The calibration can be carried out quickly and easily within the user software dental Scan. In this video we show you the steps. In this chapter, we present the advanced functionalities of dental scan. You should know the basics of the software in order to familiarize yourself with the functions. We recommend watching a video from start to finish first. When you repeat the video you should follow the steps in the software. The videos are produced to be understandable without texts. For testing yourself all videos include short explanations in English. In very rare cases an incorrect alignment may occur by the automatic alignment after a vestibular scan. When this happens the possibility of manual alignment helps you.